My phone was fixed quickly and works great ! Price was fair and clearly communicated up front. Work done well and on time. If you’re looking for a professional and affordable repair for your smartphone, tablet, or computer in Wheaton, Winfield or Glen Ellyn, look no further than uBreakiFix Wheaton. If your screen is cracked, your battery could use a replacement or your device is no longer working after water damage, we can fix it. Getting a repair from uBreakiFix is more affordable and more economical than getting a brand new device. We use high-quality parts and our technicians are trained to fix any device, even brand new ones, so there’s is no repair we can’t tackle. 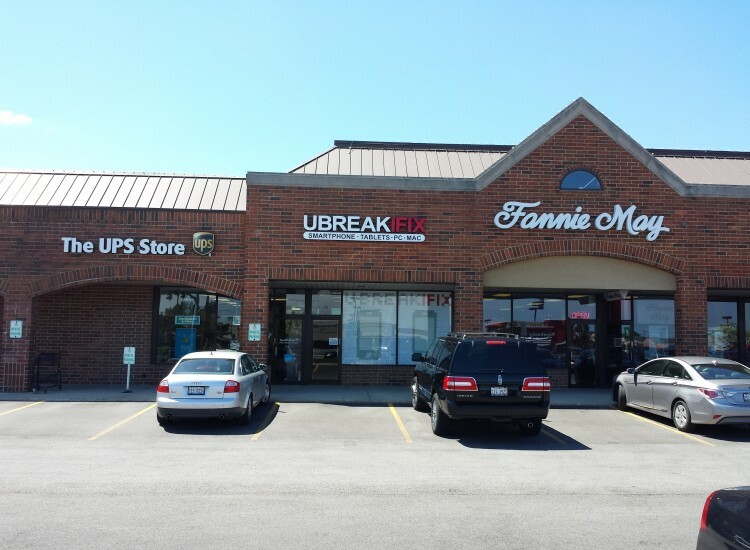 uBreakiFix Wheaton is located in Danada Square West which is just North of Naperville road and Route 56 (Butterfield road). Our location is around the corner from the Jewel Food store facing Naperville road. We are three stores down and to the right of the UPS Store. From I-355 take Naperville road north and make a right at Butterfield road. Then turn left at the next light followed by an immediate right and we are on the left side. Coming from Downtown Wheaton? Take Naperville road south until you see McDonalds on the right side of the road. Turn right into the shopping center at the next light and make an immediate right again. Coming from I-88? Take Butterfield Road West. Turn right at Naperville road and then left into the shopping center followed by an immediate right. Our shopping center contains a large number of retailers including Jewel, the UPS store, Hand and Stone, Salon 21, Two Boston’s, Ulta, Firehouse Subs, Panda Express, AT&T, Sprint, Wheaton Post Office, Chilli’s and many more! We aim to have the highest quality repairs at the lowest possible price in the business. In fact, if you can find a lower advertised price for the same repair, we would be happy to match and beat that price for you. We also provide 90-day warranties on all repairs so that your new parts are protected. uBreakiFix Wheaton is happy to help the communities of Wheaton, Warrenville, Winfield, and Glen Ellen with all of their electronics repair needs. If you’d like a free repair diagnostic on your device, visit us today.